David has a diploma in Environmental Technology from Canadore College. He is originally from Kuujjuaq, Quebec but calls the Yukon his home now. He has been in the Yukon for the past 10 years where he has worked for the territorial and federal government on mining reclamation projects across the Yukon Territory. 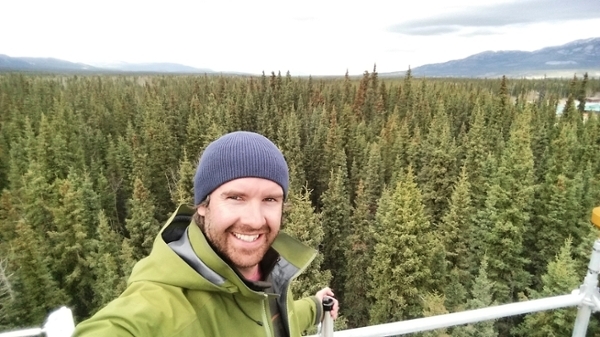 He has also worked in environmental consulting in the Yukon collecting baseline data for proposed mining sites. David is ensuring that all the monitoring equipment is working the way it should be in the Wolf Creek Research Basin and collects hydrological data. During his time off he likes to play in the mountain whether it be snowboarding, hiking or camping. He also likes to play around the water canoeing, fishing and swimming.